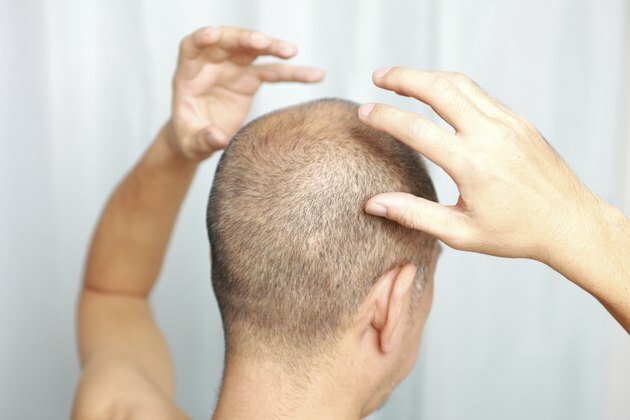 The most common type of hair loss is male pattern baldness, which affects 50 percent of the male population, according to Medical News Today. For this type of hair loss, which is considered permanent, clinical treatments may be appropriate. For temporary forms of hair loss, whether from stress, medication, disease, poor nutrition or hormonal imbalances, a natural herbal remedy like aloe vera may be effective. 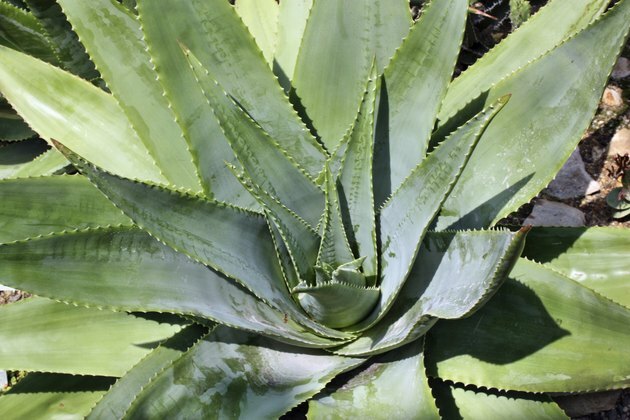 GrannyMed.com notes that although there are 400 different species of aloe vera plant, it is the aloe barbadensis plant, originating from North Africa, which is most commonly used for medicinal purposes. Often kept as a house plant, barbadensis has a thick gel within its leaves that is the pure source for many of its benefits. 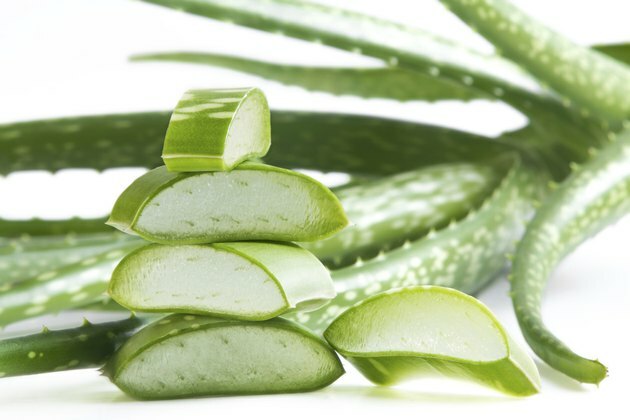 Aloe vera can be found in extract form in a host of cosmetic products ranging from skin creams to mouth washes. It is most notable for its soothing effects. GrannyMed.com is quick to state that aloe vera's ability to prevent hair loss or regrow hair is extremely questionable. However, it is believed to soothe the scalp and, as aloe vera gel contains polysaccharides and glycoproteins, it is thought that they can stimulate new skin growth. This may or may not help to promote hair growth when the cause is temporary, such as stress or poor nutrition. After shampooing your hair, massage in some pure aloe vera gel. Leave for several minutes before rinsing off. Aloe vera can be kept as a house plant. Taking the gel directly from the leaves should produce superior results than if the gel has been purchased from a health store. This is because the gel has not been processed and oxidized, notes GrannyMed.com.The gel within the leaf is very thick in texture and can be rinsed under water before application. 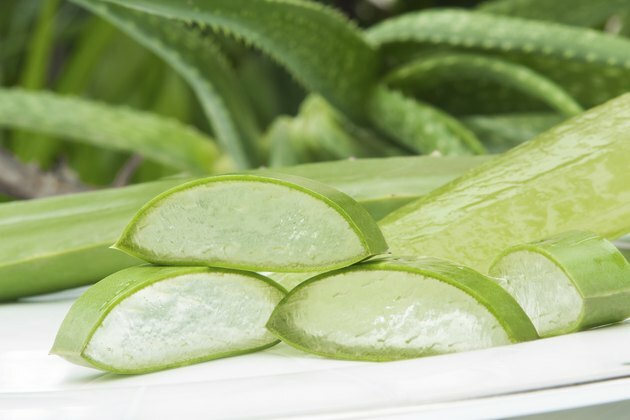 According to the National Center for Complementary and Alternative Medicine, studies of aloe vera show promising results for many dermatological conditions including dry skin, scars and burns; however, there is still insufficient evidence to consider aloe vera a serious medication. No mention is made by the NCCAM of aloe vera being an effective treatment for any form of hair loss. Prescription corticosteroids and the over-the-counter foam Minoxidil can be used in tandem as a treatment of mild hair loss. 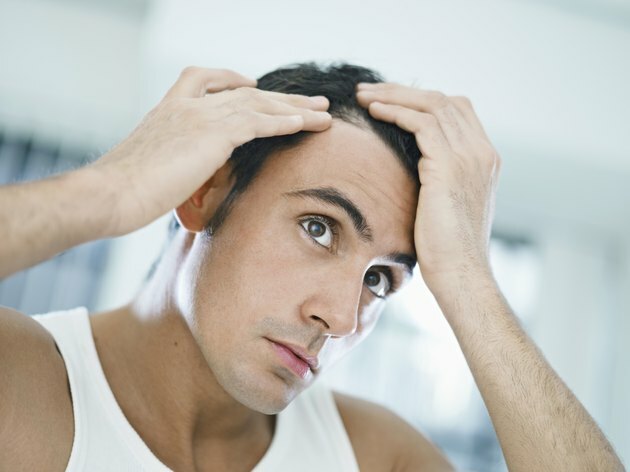 The American Academy of Dermatology notes that they can stop hair loss and, in some cases, promote re-growth. For more severe and permanent cases, clinical treatments involving surgery may be needed. Consult your doctor to discuss what hair loss treatments will be effective for you and your condition. Medical News Today: What Is Hair Loss?